Public Citizen, Inc. lobbies the Texas legislature here in Texas and Congress and federal agencies to advance Public Citizen’s mission of advancing government and corporate accountability. 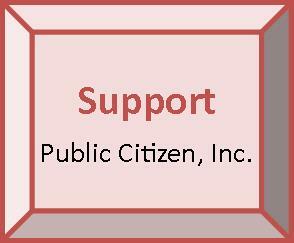 When you make a contribution to Public Citizen, you become a member of Public Citizen, showing your support and entitling you to benefits such as Public Citizen News. 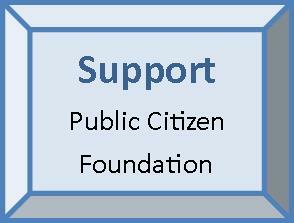 Contributions to Public Citizen, Inc. are not tax-deductible.